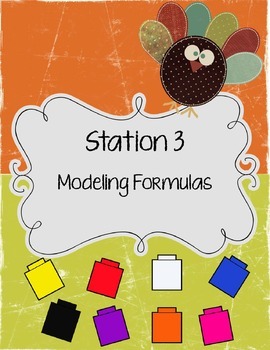 This product includes everything you need to set up an organized chemistry review with stations covering topics such as, chemical and physical changes, components of chemical equations (vocabulary review), modeling formulas, recognizing balanced and unbalanced equations, modeling chemical equations, fill-in-the-blanks atomic structure vocabulary, atomic structure table (with element name, symbol, atomic mass, atomic number, protons, neutrons, electrons), building an atom model, and chemical reactions review task card questions (with griddables). 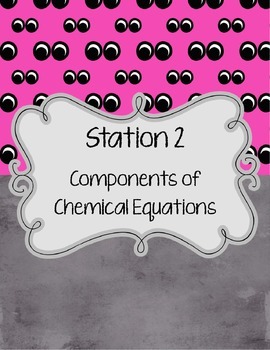 NOTE: This product contains my "Chemical Reactions Review Task Cards" that are for sale separately in my store. 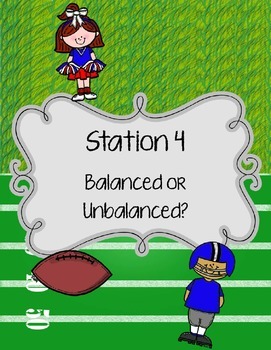 A student interactive science notebook booklet is included for students to record their answers as they rotate through the stations. 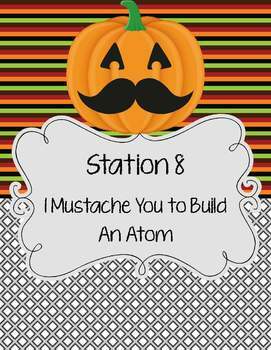 I have also included cute Halloween/Fall-themed signs to post around your room at each station along with the station directions. (see preview pictures). UPDATE 1/2/14: A non-themed version that is more generic (non-Halloween/Fall themed) has been added. This allows you to use it any time of year.